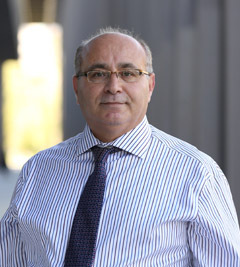 Dr. Murat Durandurdu received his BSc in Physics from Karadeniz Technical University, his MSc in Materials Science and Engineering from Virginia Tech and his PhD in Physics from Ohio University. He worked as a postdoctoral research associate in the Materials Science and Engineering at the University of Michigan-Ann Arbor. Dr. Durandurdu held an assistant professor position in the Department of Physics at the University of Texas-El Paso and a research associate professor position in the Department of Physics at Texas Tech University prior to joining Abdullah Gül University Faculty in 2014. His research focuses on computational materials science and nanotechnology, and theoretical condensed matter physics.